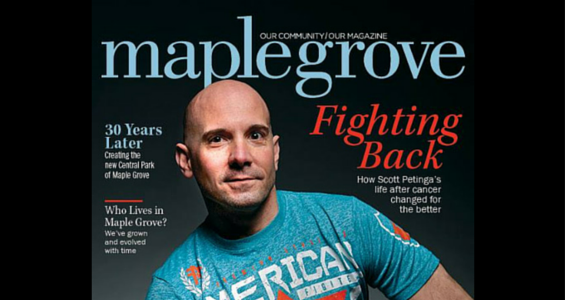 Maple Grove resident Scott Petinga’s life began on May 3, 2004. He was in his early 30s, but the day signaled a rebirth. He was diagnosed with testicular cancer, and it set him on an entirely new path. Petinga grew up in New Jersey. A model student for most of his life, he became bored and unchallenged partway through high school and lost interest in classwork. He enrolled in the Marines during his junior and senior years with an eye to go into intelligence training. He graduated, but an ankle injury derailed his plans to enter the program. He returned home and began selling paintings and artwork on the Jersey Shore. The owner of an advertising agency approached Petinga in 1993, offering him an agency job. A new career was born, and Petinga began bouncing around the advertising world. He climbed the ladder in New Jersey, but wanted to find out if he was capable of venturing away from home, so he began taking advertising jobs all over the country. “I’ve lived in about 21 different cities,” Petinga says. Petinga hates corporate structures that focus only on profit, and his life philosophy is to work hard to overcome mediocrity. He knew he wanted to take this philosophy and start his own company, one that’s good to its employees and treats people well, rather than focusing solely on making money. 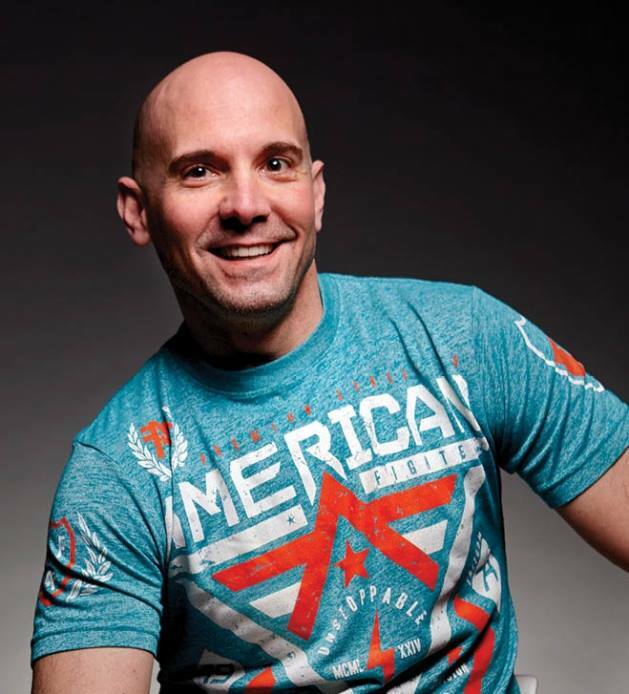 He moved to Minnesota at the end of 2005 and spent a year working for a local marketing firm before launching his own company, AKQURACY, in 2007. He found success and treated his employees well. As his notoriety and profits grew, Petinga began slipping down a different path and was spending money on material things in life that didn’t matter. Every May, the anniversary of his cancer diagnosis, Petinga sits down and evaluates his life. Two years ago, he realized he was focusing on the wrong things. The cancer was gone, but his life wasn’t fulfilling. He also had some post-cancer side effects. He wanted to learn more about his own problems, and also help others. His philanthropic spirit kicked in and he began funding and assisting cancer research at the University of Southern California. He felt cancer had changed his body and brain, and wanted to help the cancer world learn more about the after effects of the disease. It’s research that is still ongoing. Petinga also got involved with Angel Foundation in Minneapolis, which helps the families of cancer patients financially. “Scott is a wonderful, caring person who is deeply committed to making a difference in people’s lives,” says Angel Foundation president Mark Wilkening. Petinga offers marketing services and financial support to the company. In addition to helping with cancer research and the Angel Foundation, Petinga founded Fairy Foundation, which is similar to Make-A-Wish, but geared toward adults. He recently gave a Wisconsin woman with breast cancer a trip to Disney World. Petinga also formed the Think Different Foundation. The ambitious humanitarian foundation looks for innovative ways to solve social issues like healthcare and housing in the United States. He also started Heels that Heal, which sells donated shoes to raise money for local charities. This article originally appeared in the June 2015 issue of the Maple Grove Magazine.